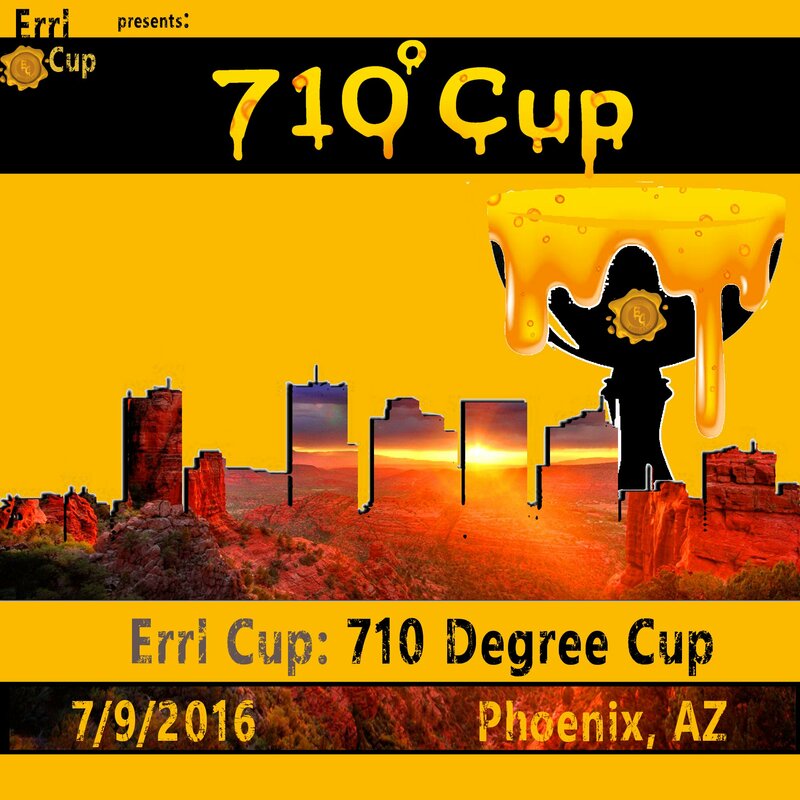 The Errl Cup presents: The 710 Degree Cup! The Errl Cup is proud to present our next installment in our secret shopper series the 710 Degree Cup! Errl Cup will be secret shopping the greater Phoenix dispensaries for concentrates! The secret shops will then be blindly tested by our sponsoring laboratory and broken down into FREE judge kits that will be randomly given out to AZ patients to judge and report on the medication in a score card. We will also be giving out Patient Choice awards so we need your participation! Go to your local dispensary and vote for your choice in the Patients Choice Awards. There are 14 awards to be given and they all require you to choose the winner! You can also vote by going to http://TheErrlCup.com! The Errl Cup: 710 Degree Cup is a Cannabis Awards and Festival, about patient appreciation and dispensary accountability! It is FREE for patients to attend and we will award The Errl Cup for 12 Dispensary categories and 4 Caregiver categories. Come join us for a great big, free, medicated celebration while uncovering where the best Concentrates and flowers are in Arizona! This is just another thank you from the Errl Cup; because without you there would be no MMJ!